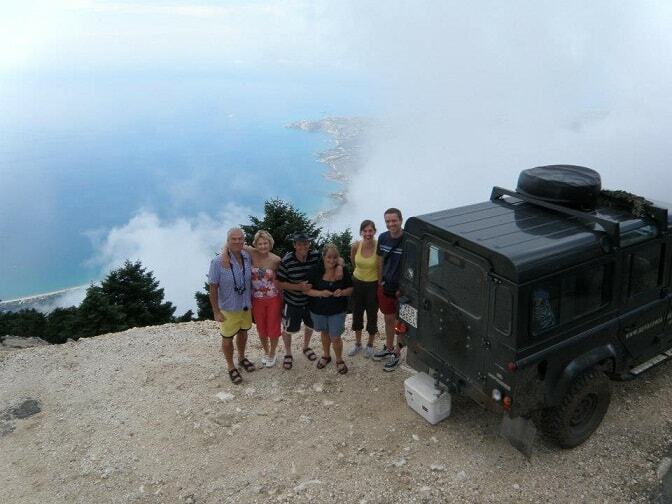 The Jeep Safari trip starts at Kefalonia Greece. The tour starts in the direction of Mount Ainos, the Black Mountain and its national park. 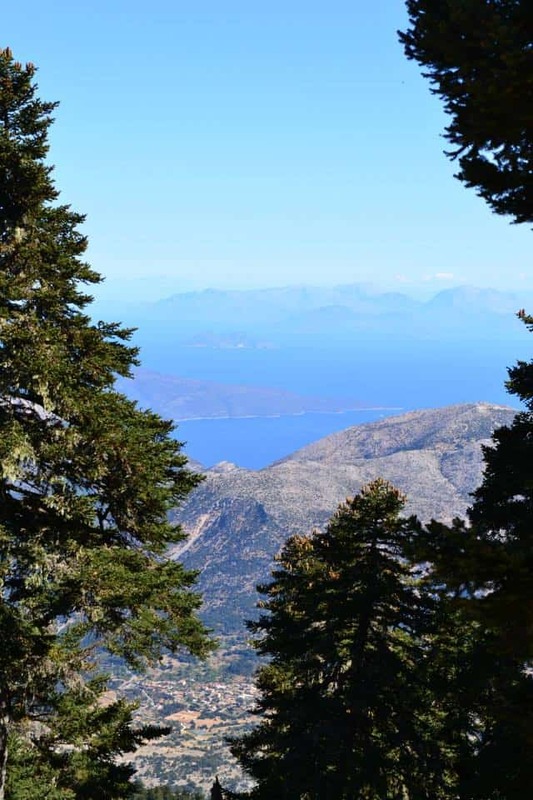 On the slopes of the park the unique Kefalonia fir can be seen and on Mount Roudi, Holm Oak, Arbutus, Carob and shrubs such as Heather, Thyme, Amaranth can be found. Discover rare species of trees and flowers such as the rare, wild orchid. 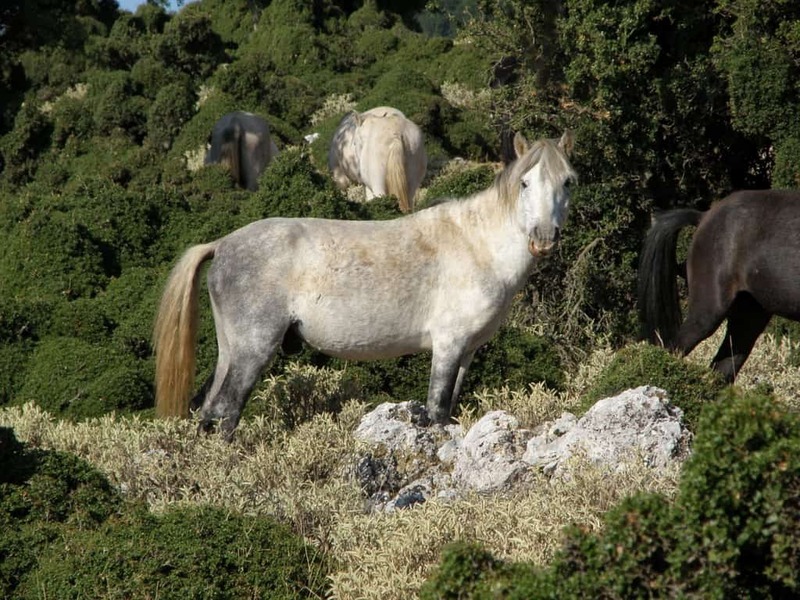 Try to spot the wild mountain horses and enjoy panoramic views of Kefalonia. Fill your senses with sights and smells. Mount Ainos National Park is the perfect place to take in some Mountain scenery, wildlife and plant life. It has a total length of 10 km and its highest peak is Megas Soros, at 1628m. Recently the road to the peak of the mountain was laid with tarmac allowing easy access to the top. 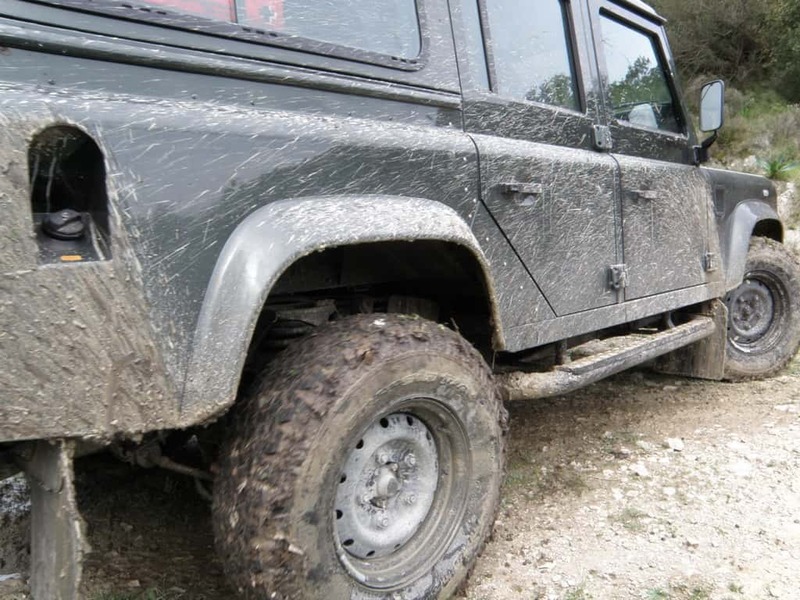 However, the aim of Jeep Safari is to take, “The road less traveled.” We will travel through rough, track roads that are off the beaten track and mainly away from the traditional, well worn tourist routes. 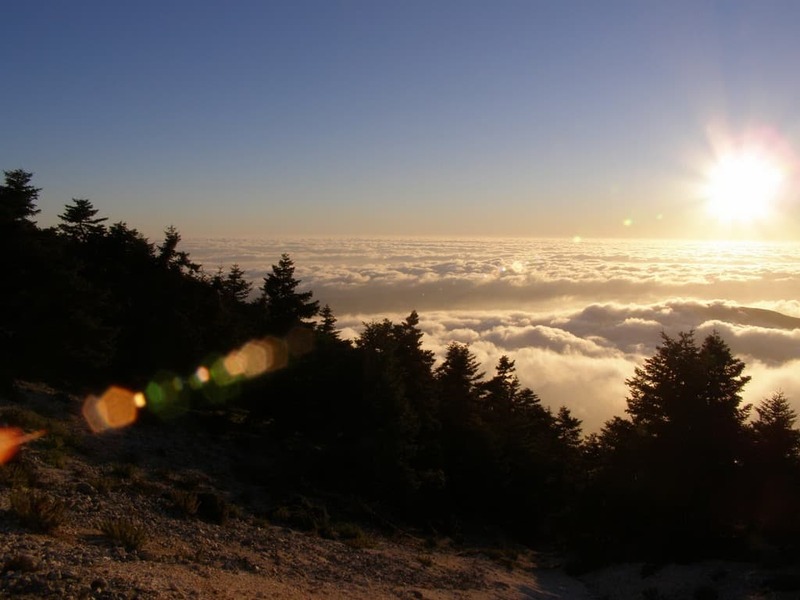 You will experience Mount Ainos in its original beauty. 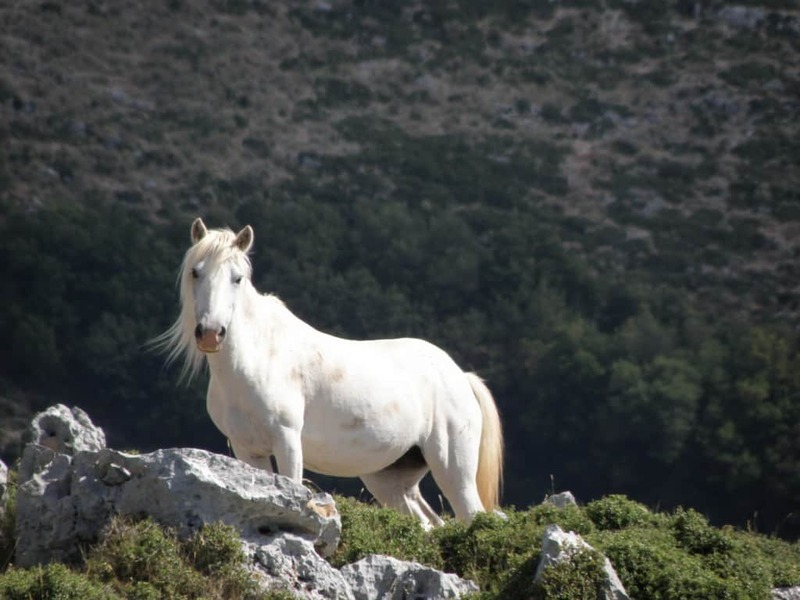 We will traverse the mountain from the southern part to see the wild horses and un-spoilt nature. Leaving the Jeep behind us, we will walk for 20 minutes to the peak, Megas Soros. The view from the Top is 360 degree panoramic. 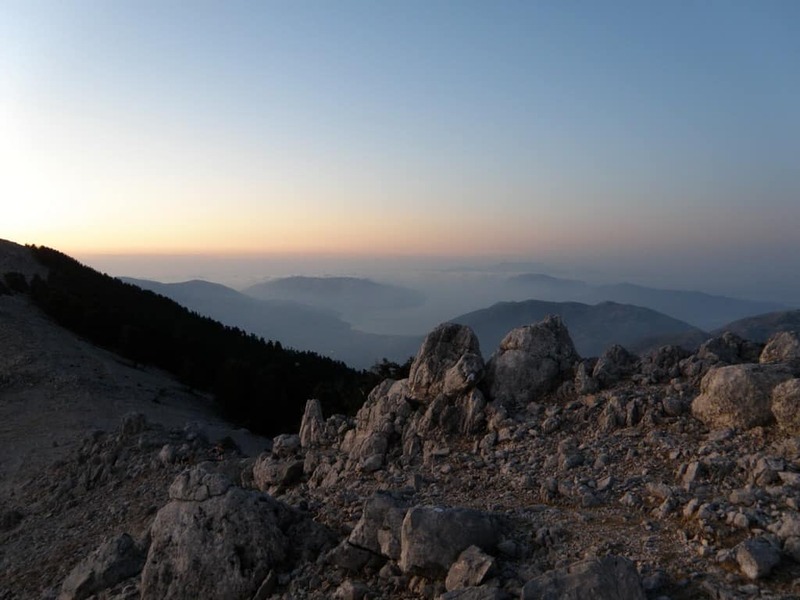 Feel like one of the many birds of prey you will see, perched on top of the mountain seeing through the birds eyes surveying the beauty of Kefalonia, the shimmering sea, the greenery and the facing island of Zakinthos. 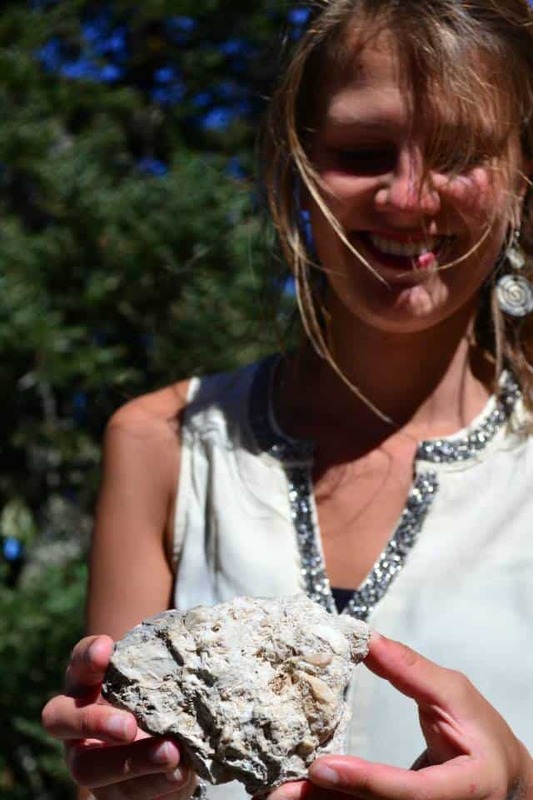 It’s a magical place where all the elements meet and fuse together to offer an absolutely breathtaking experience. Returning to the jeep we continue to the second mountain in the National Park, Mount Roudi. 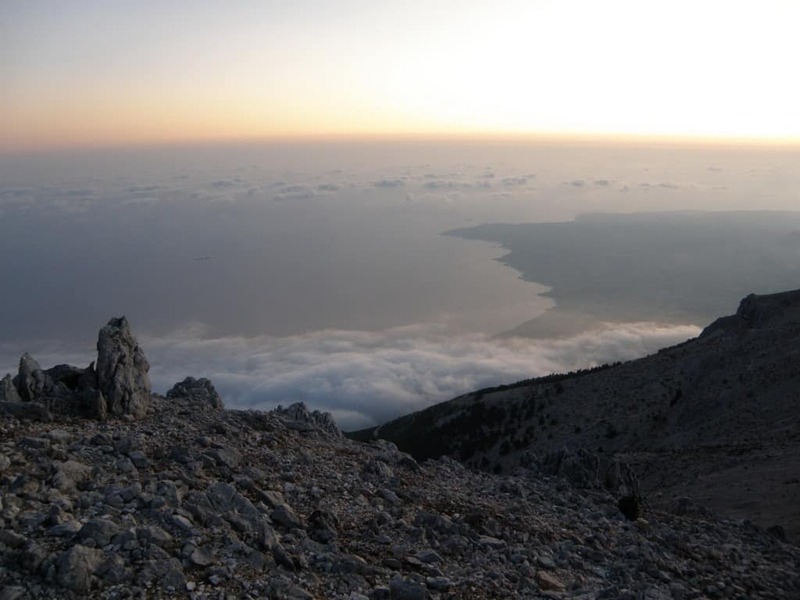 Mount Rhoudi is an extension of the range to the north-west; its highest peak is Mount Yioupari, at an altitude if 1125m. 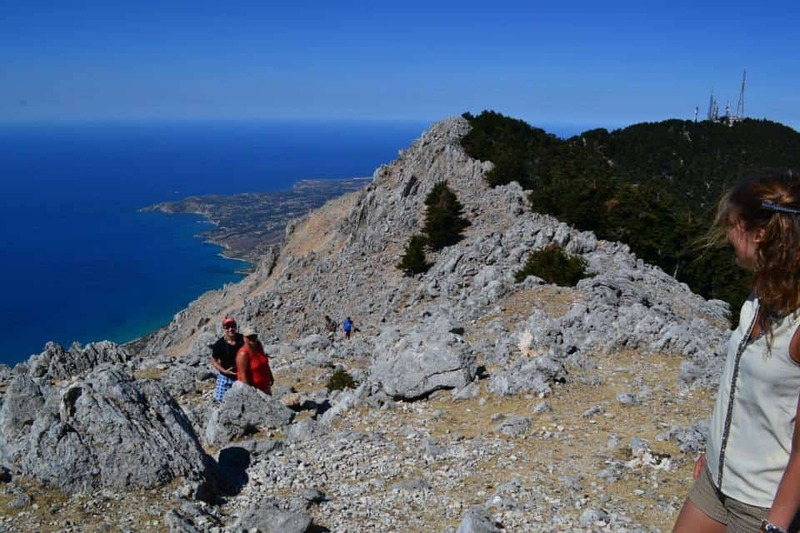 This mountain will give you an unsurpassed and spectacular view of the east side of the mountain with views towards Sami and the mythological island of Ithaca. You may also catch glimpses of eagles, hawks, falcons, turtles, rabbits and other mountain wildlife in its natural habitat. 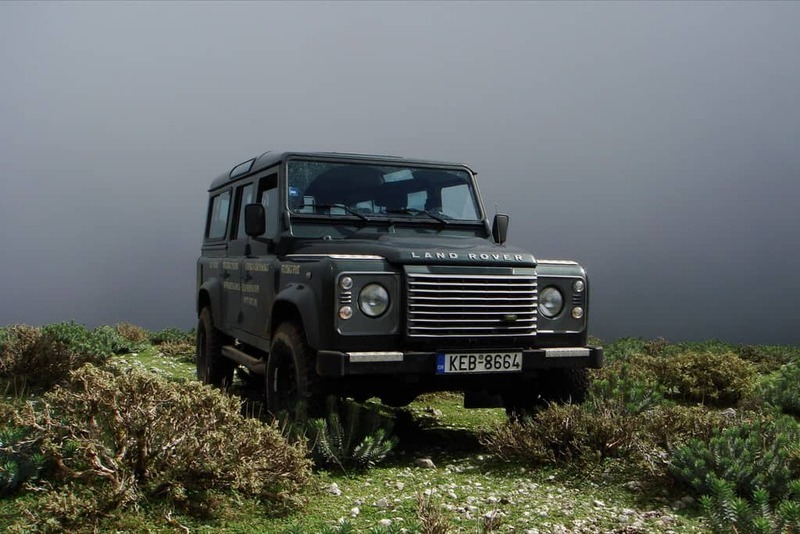 After Mount Routhi, Safari Jeep heads to the Omala Valley, which is well-known for its famous Monastery of Agios Gerasimos. Agios Gerasimos, a former monk, is the patron saint of the island. He founded the monastery and lived there until his death on the 16th of August 1579. On that date every year big festivals and processions take place. Many miracles are connected to the saint’s relics and icon. Over the centuries the monastery got rich and powerful and its extensive surrounding properties the delicious Robola wine grapes are grown. 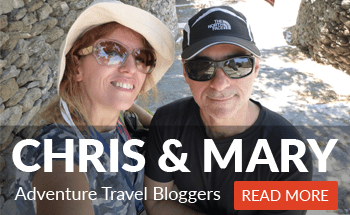 We travel into a ‘ghost village’ by way of an old mules track, made by the Venetians and one of the first roads ever made on the island, known by few and traveled only by knowledgeable locals. We make a stop here at the old tumbled-down houses, which were destroyed by the earthquake. 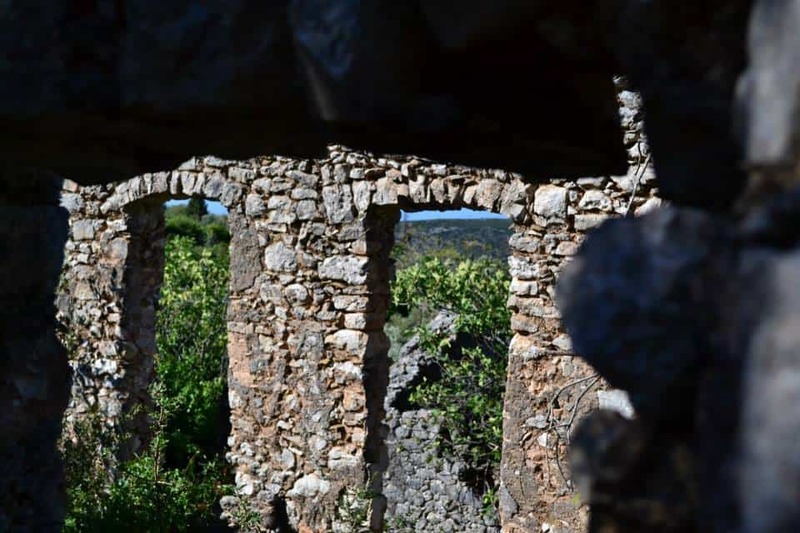 You have an opportunity to see the original architecture, structure, planning and lay-out of one of the oldest villages in the island. After this we take a ten-minute break. We then move onwards to one of the fine beaches of Livathos with its beautiful, yellow sandy shores and glistening, turquoise-blue waters. Slip beneath the cooling surface and relax on the sun-warmed sand in the shade of an umbrella listening to the sound of the waves lapping the shore. We will stay here for 1 ½ hours, although you may want to stay a lifetime. 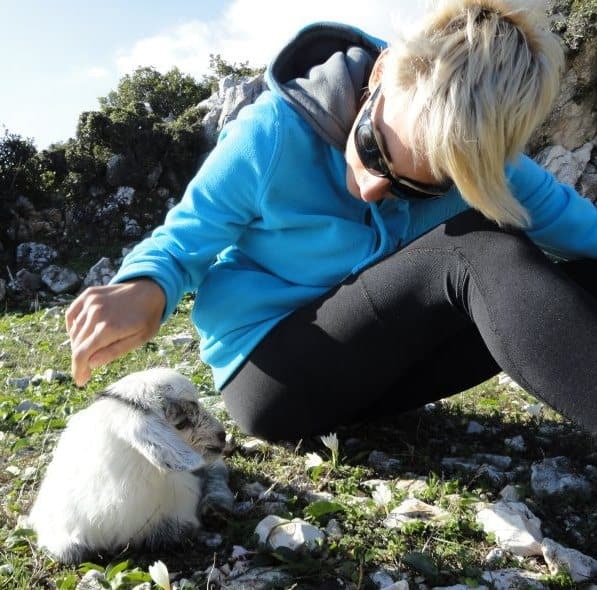 We will take you on an unforgettable Sunset Jeep Safari, where you will get to see the “other” Kefalonia. 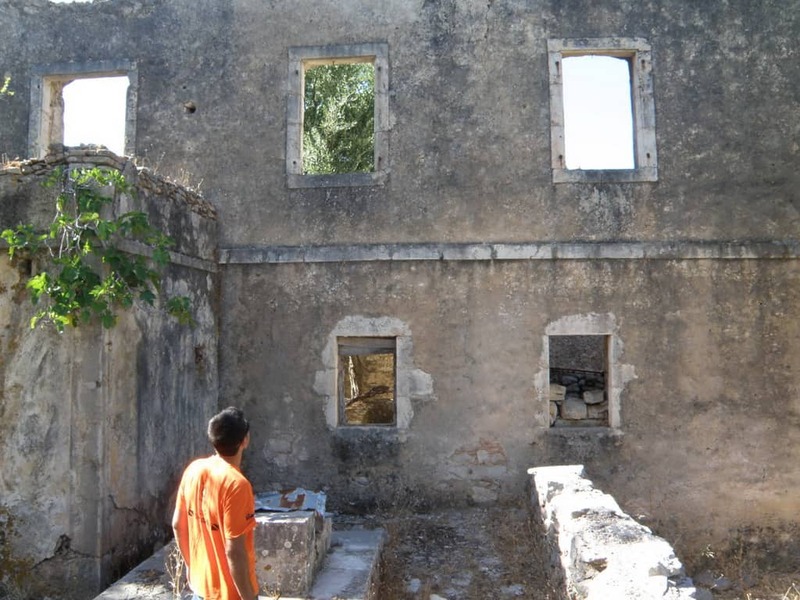 Kefalonia is an island great in history and has many reminders of World War II. 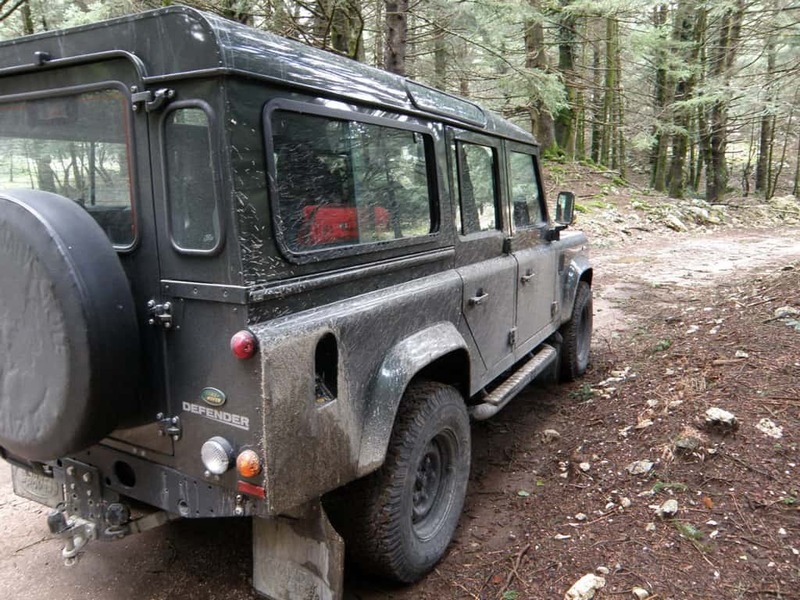 This Jeep Safari tour is a combination of true history and memories of the successful film Captain Corelli’s Mandolin. We will drive along a historical and cultural route and experience some of the contemporary Greek-Italian-German history. 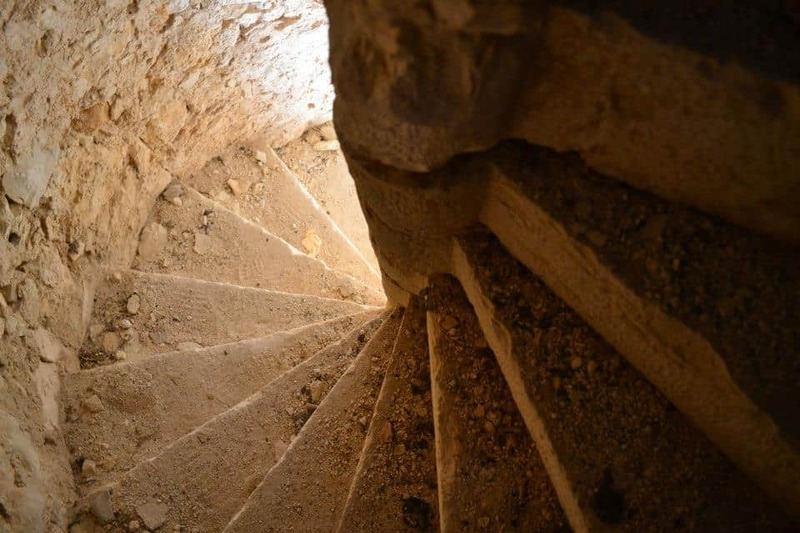 You will dive deeper into Kefalonian history as we visit various archaeological sites and off course the Italian War Monument dedicated to the Italian soldiers who served in World War II. Our first stop will show us the hidden and forgotten bunkers where the ‘real’ Captain Corelli hid out and protected himself and his men. Feel yourself transported back to a wartime era as you explore this historic place. 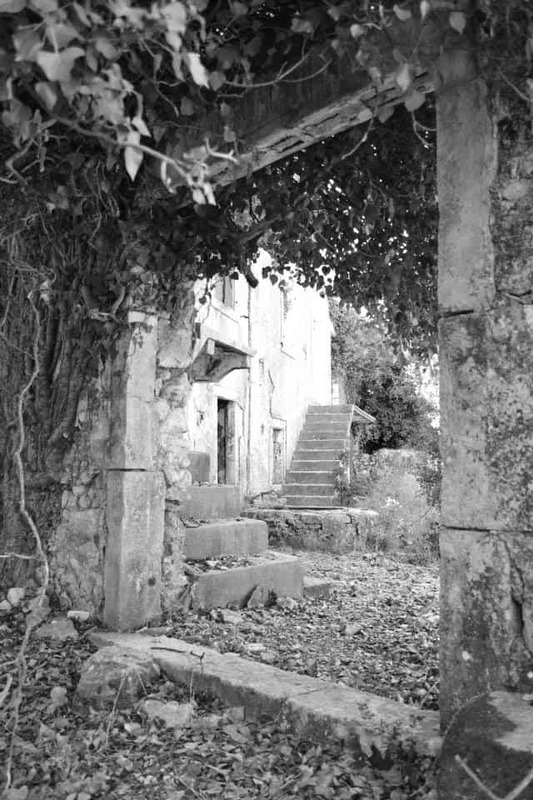 Our second stop takes us to a ghost village where scenes from the film were filmed. Tour the village and take photos which can then be compared to stills from the actual film. Walk in the footsteps of the actors and actresses as you explore this atmospheric little village. Our last stop takes us to Anti- Samos beach where the Italian camp in the film was set up. This fantastic secluded bay is also one of the most photographed beaches in Europe with its beautiful white pebbled beach and crystal clear waters. Spend some time relaxing here, listening to the surrounding nature and taking in the beauty of the greenery around the peaceful beach, it’s a real gem. 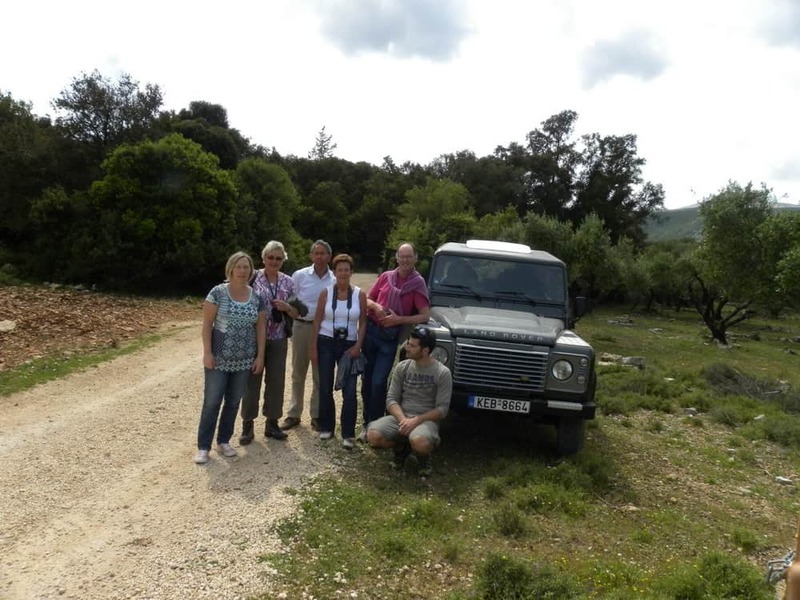 Experience the amazing Jeep Safari in Kefalonia Greece. It is a unique way to discover this island of Ionian sea. 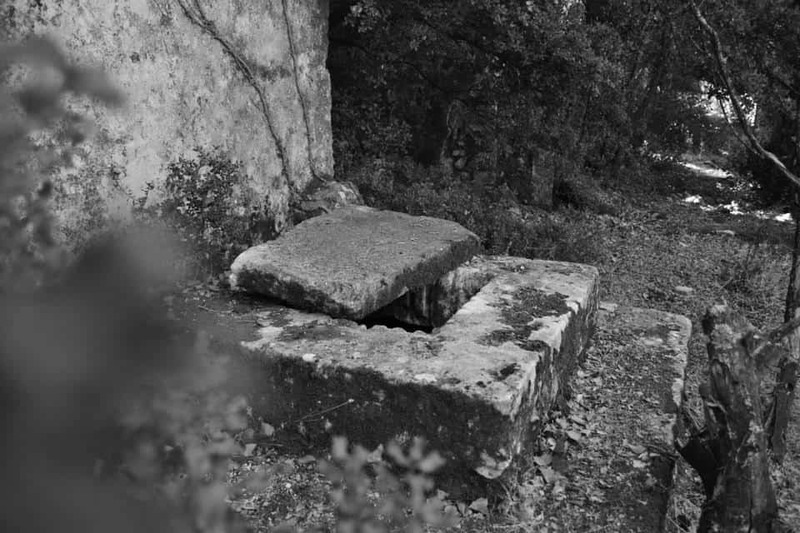 (An article by Giorgio Potamianos of Kefalonia Elements. Contact the organizers through: +302671100251, +306979987611, or through their contact data below).